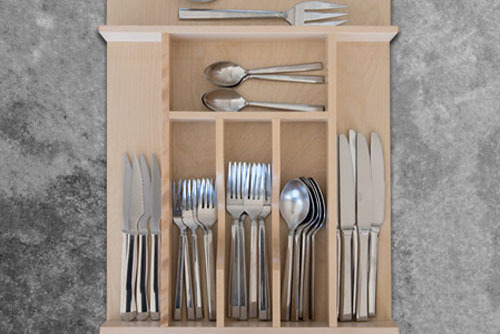 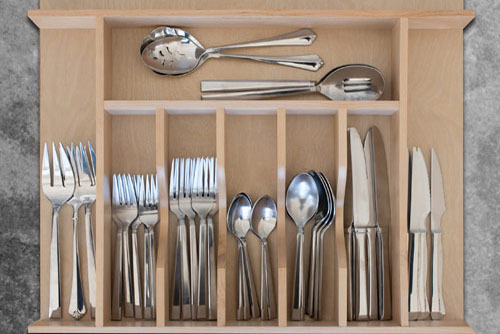 Easily organize and store your everyday cutlery with our Custom Wood Cutlery Drawer Insert. 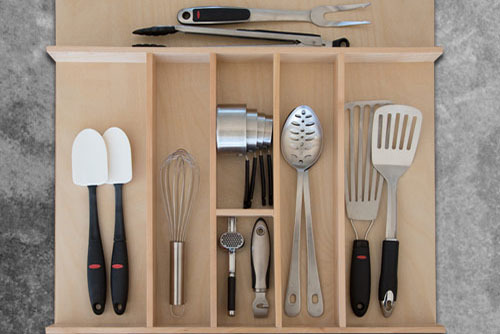 Every utensil has it’s own slot making setting the table and unloading the dishwasher quick and easy. 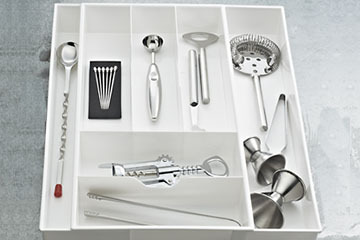 The best feature of this custom insert is that it can be ordered to fit YOUR drawer – maximizing every inch of space! 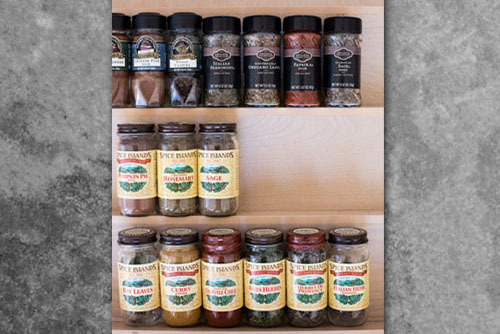 Made of classic maple hardwood with a UM-cured clear finish to ensure an acceptable match to any kitchen cabinet.